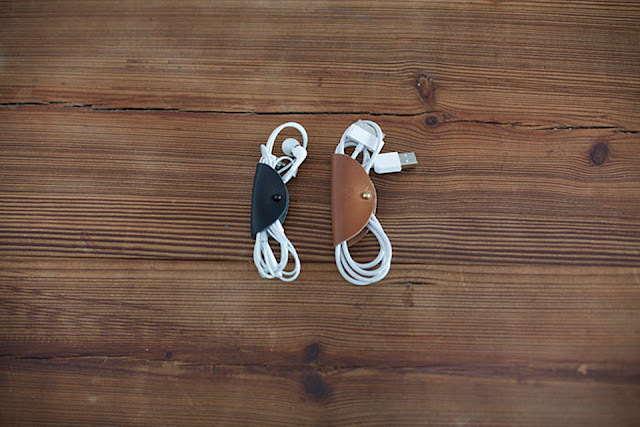 Keep your cords under control with a pack of Cord Tacos ($25/5-pack). Named for their shape, these small pieces of 100% leather snap around folded cords to keep them bundled in your bag, pocket, drawer, car, or anywhere else you have them stored. A metallic button ensures solid closure, and your choice of black or tan tacos — or an assortment of both — ensures that they'll match your existing stuff.